Join our Chamber Ensemble Program! Ensembles are open to all ages, abilities and instruments. One hour sessions (Fridays 4-7 pm) begin March 15th, 2019 for eight weeks. PCM offers students the opportunity to be placed in any form of chamber music group, from duos to octets, in either mixed instrument groups or traditional instrumental combinations. Students are placed in these groups based on interest and ability, and are matched with a faculty coach. Chamber ensembles rehearse for one hour sessions on Fridays between 4:00 PM and 7:00 PM over an 8 week period each semester. Semesters will culminate in a performance opportunity. Students will work together with the ensemble members and faculty coach to choose an appropriate repertoire. Playing in a chamber ensemble is an invaluable experience for any musician. Students learn the importance of balance, taking leadership to showcase important lines and learning when to play at a softer dynamic to showcase others. Every player is heard, teaching students to take ownership of their parts while listening for the nuances in others. As members of an ensemble, students gain a shared sense of responsibility, becoming better listeners, performers, and musicians as a whole. Are you ready to make music together? If you are interested in joining an ensemble, please fill out the form and join us at 4pm with your instrument in the Theory Room at PCM! 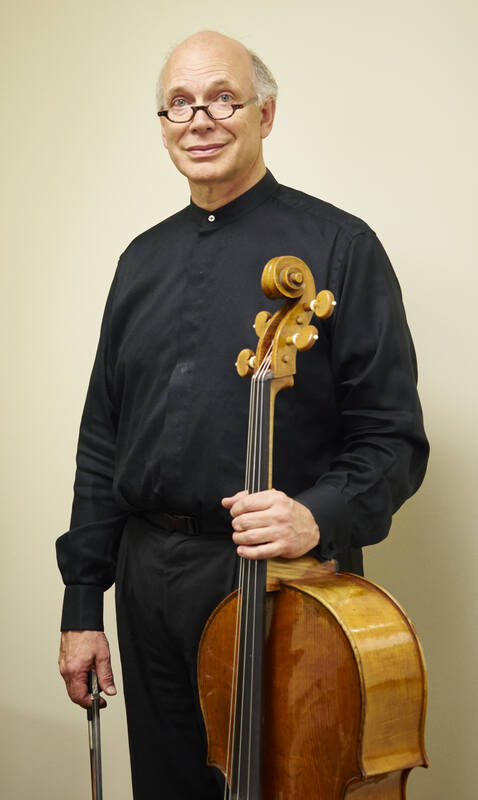 Cellist Myles Jordan arrived in the US from Canada in 1981. While attending graduate school inPhiladelphia he founded the DaPonte String Quartet and taught cello and chamber music at Temple University, Wilkes University, then afterwards at the University of North Texas. Holding a doctorate and with almost four decades of professional experience, Jordan has recorded for RCA Red Seal, CBC, Cadenza and Centaur records, written for Strad Magazine and collaborated in chamber music concerts and broadcasts with many of the world’s greatest performing artists. A firm believer in the inestimable value of art music, Myles strives to give students a sense that the highest possible standards are both their calling and their responsibility. Learning constantly from resources that are partly documentary, partly technical, partly traditional and partly spiritual, to lay open as clearly as possible composers’ original intentions, is the central ideal to which he has dedicated his working life. Lydia has concertized throughout Europe and the U.K. with Ensemble L’Archibudelli, Zephyr Kwartet, Het Schoenberg Ensemble, Sinfonietta Amsterdam, Het Blazers Ensemble, Osiris Piano Trio, I Fiamminghi, and Ensemble Explorations. During this time, she recorded with some of the world’s most prominent labels; Sony Classical, Harmonia Mundi, CNM, and for Vienna Modern Masters as soloist with the Czech Radio Philharmonic. She has also performed for festivals in Europe, the U.K., Australia, New Zealand, and the U.S. Lydia has also served as concertmaster for Het Orkest van het Oosten in the Netherlands. 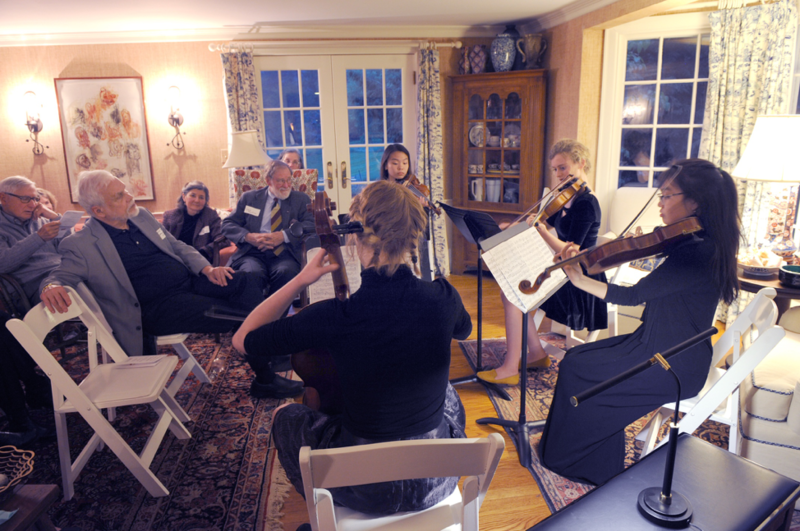 Lydia was drawn to the DaPonte String Quartet by her love and respect for the work. She lives in Cumberland, Maine with cellist Myles Jordan and her 3 children.